(CNN) -- Under fire from tens of thousands of users, the social networking site Facebook said early Wednesday it is reverting to its old policy on user information -- for now. 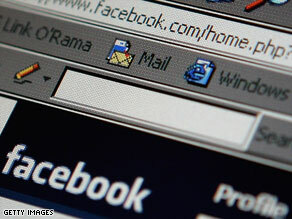 Backlash against Facebook began after a consumer advocate site flagged Facebook's policy change. Facebook, the Web's most popular social networking site, has been caught in a content-rights battle after revealing earlier this month that it was granting itself permanent rights to users' photos, wall posts and other information even after a user closed an account. The popular site allows users to create personal profiles where they can then connect with one another, upload photos and share links. The site boasts more than 150 million active users. Member backlash against Facebook began over the weekend after a consumer advocate Web site, The Consumerist, flagged a change made to Facebook's policy earlier in the month. It replaced it with: "You may remove your User Content from the Site at any time. ... (H)owever, you acknowledge that the Company may retain archived copies of your User Content." In response, Chris Walters wrote in the Consumerist post, "Make sure you never upload anything you don't feel comfortable giving away forever, because it's Facebook's now." Thousands of indignant members either canceled their accounts or created online petitions. Among them were more than 64,000 who joined a group called "The People Against the new Terms of Service." iReport.com: Too much information posted online? On Monday, Facebook Chief Executive Mark Zuckerberg tried to quell the controversy by saying the company's philosophy is that "people own their information and control who they share it with." "Well that worked pretty fast," wrote member Al Reford of Vancouver, British Columbia. "Numbers count when giving feedback :)"
And Shahrzad Grami of St. Paul, Minnesota, added: " YAYYYYYYYYYYY!!!!! nice job guys! i won't be canceling my account after all."